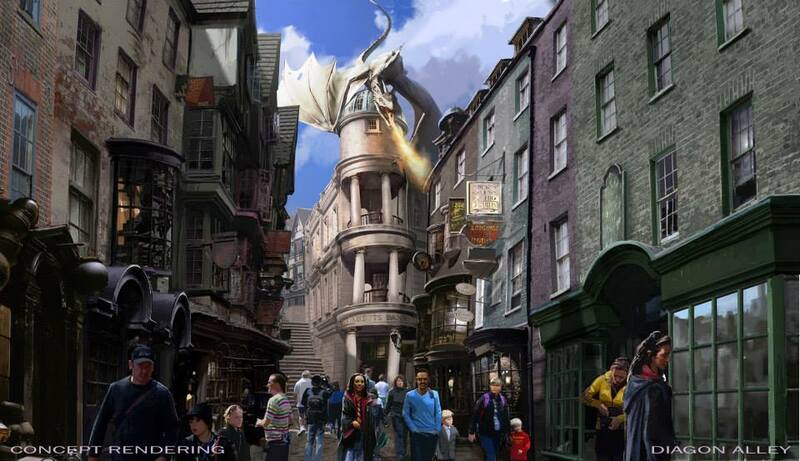 InSanity lurks Inside: What will the new Diagon Alley at Universal Orlando look like? Have some Concept Art! 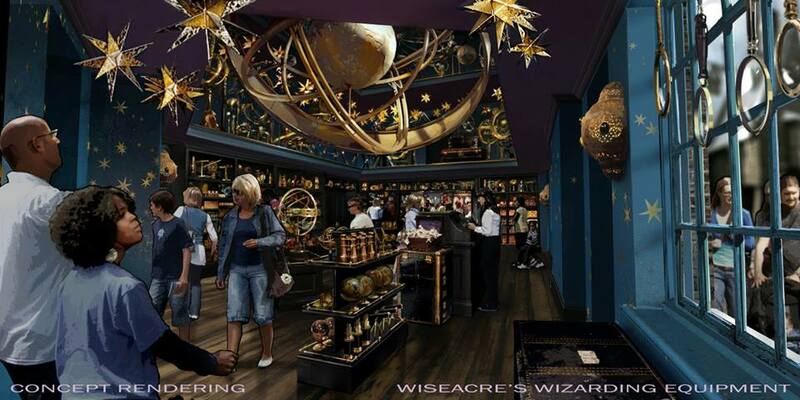 What will the new Diagon Alley at Universal Orlando look like? Have some Concept Art! Well, news is flying fast out of Universal Orlando today and in the previous two posts we've gotten a look at some of the details surrounding the entire experience as well as a closer look at some of the shops and restaurants. 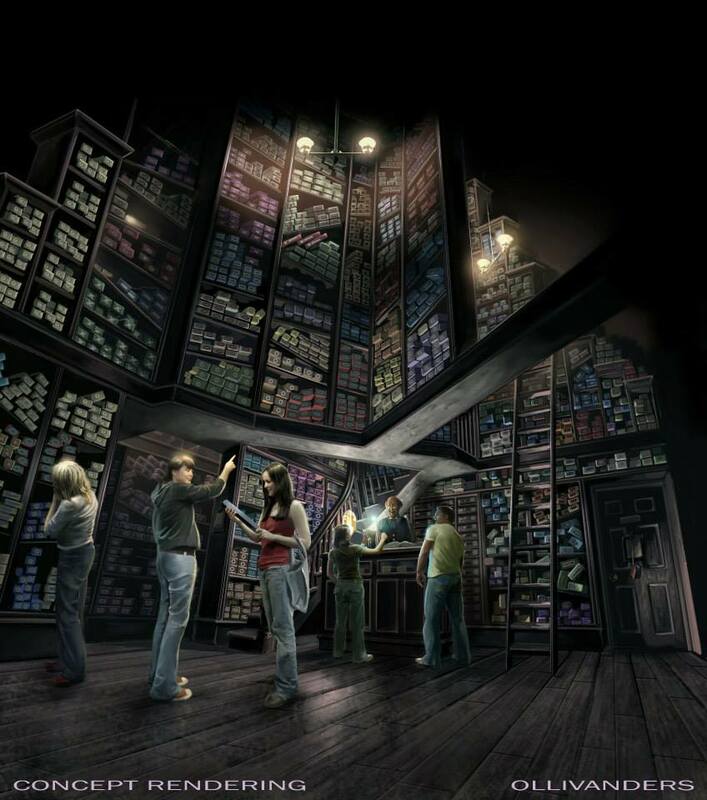 Now, it's time to peek at the concept art that's behind all of this and see just what this amazing addition to Universal Orlando will likely look like! Universal Orlando posted a ton of these on their Facebook page, but in case you don't feel like going there, we've assembled them all right here for ya! Everything from the Hogwarts Express to a look at the new Gringots ride to pretty much everything else in between can be seen and it's looking like Universal has once again knocked this one out of the park! First up? 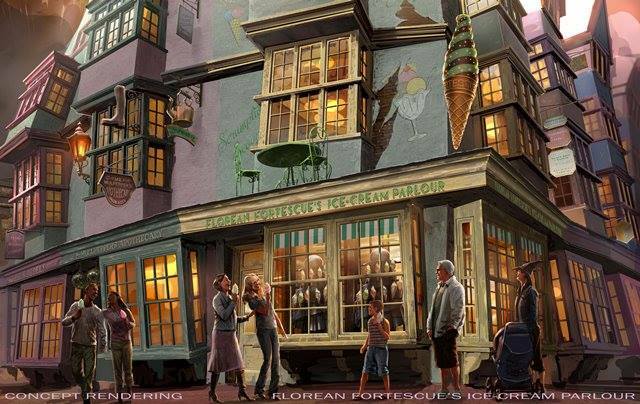 Here's what the fully finished entrance to the Diagon Alley area of the park will look like once it's completed. 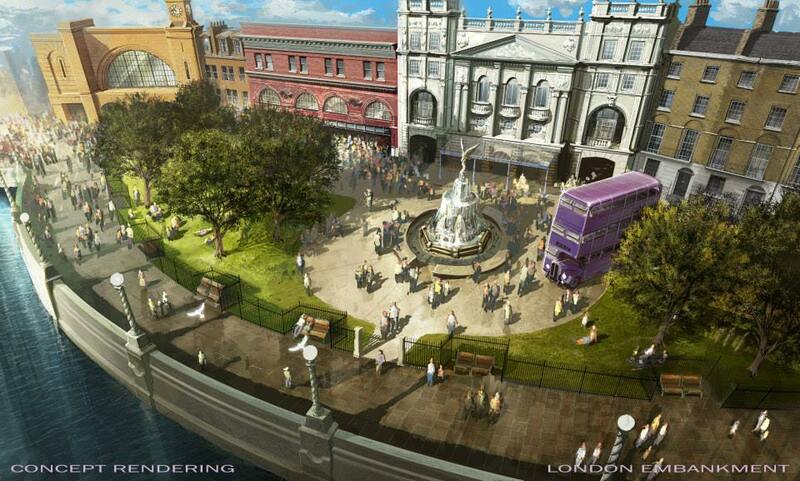 How accurate this will be, who knows, but love the fact that the Knight Bus is there and if rumors are to be believed, the shrunken heads will be interacting with guests too! Next up we take a look what the view guests will get as they exit the Muggle world and into the Wizarding World of Diagon Alley. While no details or sightings have been made of the dragon atop Gringots just yet, it's sure to be one insanely impressive sight to be hold! 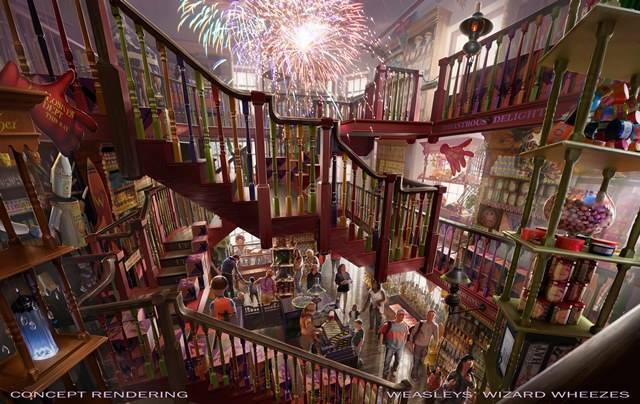 Now, let's take a look at some of the concept art for the shops within Diagon Alley! Though, if you're needing a little extra coin, you can always stop by Gringots for a little withdrawl, just be sure to make it quick or else who knows what kind of trouble you'll get into! Now that you've found yourself all kitted out with everything you need, and escaped Gringots, you can enter into King's Cross Station and board the Hogwarts Express for a trip to Hogsmeade! The train itself is an amazing authentic reproduction that even the stars of the movies say is even better than the sets that they worked on! Also, your trip to Hogsmeade will be completely different than the one from Hogsmeade to Diagon too. 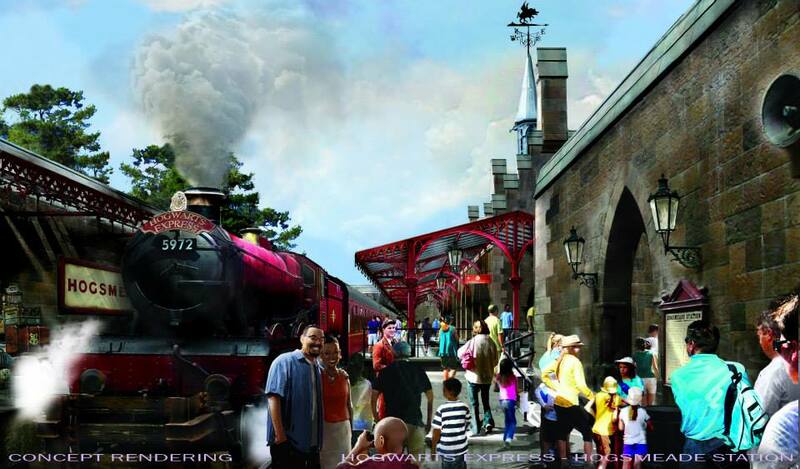 From Hogsmeade Station, you'll be able to enjoy everything from the Three Broomsticks to Harry Potter and the Forbidden Journey and of course Dragon Challenge! Overall this these two sections, in two different parks, of the same world look to be amazing and despite our skeptism earlier on, it looks like Universal has managed to pull this one off insanely well! Stay tuned for more updates as we get them and pass them on to you!